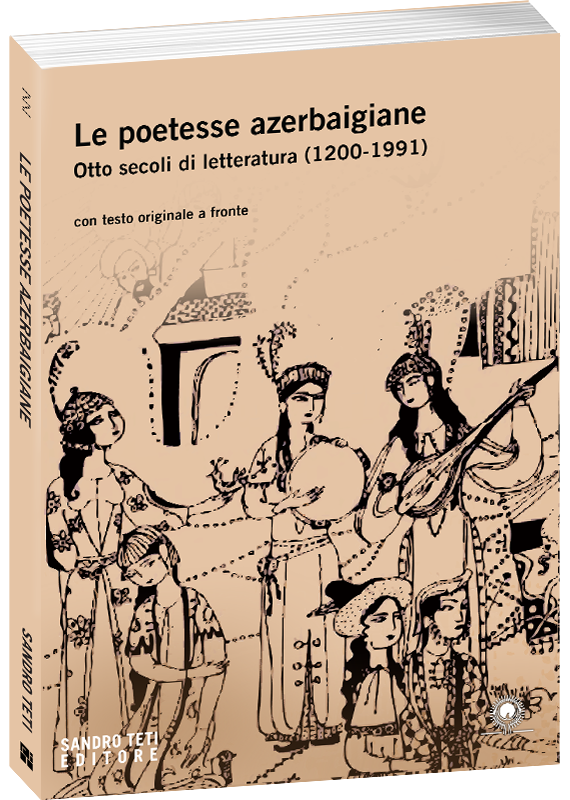 For the first time in Italy the 41 most famous Azerbaijan female poets’ lyrics are collected in this complete anthology that covers eight centuries of history. The first publication that presents the poems in the original Azerbaijani language with the Italian translation. The lyrics celebrate love, homeland, culture and work. And are a precious testimony of social history and precocious emancipation of women in Azerbaijan, the first Muslim country to create an independent and laical state and to give women the right to vote, before Italy and other western countries. THE BOOK: This collection, which includes eight centuries of women’s poetry, is divided into three periods: the classic period (1200-1850), the period of the oil boom which is connected to the economic and cultural revival, culminated in the ephemeral independence (1850-1920), and the difficult and intense period of the sovietic age (1920-1991). The polyphony of the authors’ lyrics reflects feelings, sensations, desires and the depth of the Azerbaijan women’s literature. The poems, accompanied by short biographies of every author, are presented both in Italian and in the original Azerbaijani language. The book is of great interest to lovers of world literature and poetry, students of Azerbaijani and specialists of gender studies. Agabeyim Aga Agabaji, Ashug Basti, Ashug Hamayil, Ashug Pari, Elmira Qasimova, Fatma Khanum Kamina, Firuza Mammadli, Gamarbayim Sheyda, Gonchabayim, Gulshad, Hakima Billuri, Heyran Khanum, Jahansuz, Kamala, Kamila Nemat, Khadija Sultan Khanum, Khanimana Alibayli, Khurshidbanu Natavan, Madina Gulgun, Mahsati Khanum Ganjavi, Marziya Uskuyi (Onda), Mashadi Khanim Leyli, Mina, Minaya Aliyeva, Mirvarid Dilbazi, Nabirli Badam, Narinj Khatun, Nigar Rafibayli, Nimtaj Khanum, Nurangiz Gun, Parvin Khanim Ehtishami, Rafiqa Nuray, Ranjur Shahnigar Khanum, Raziyya Ganjavi, Ruzgar Afandiyeva, Sahib Sultan Dunbuli, Sona Khanum Akhundova-Garayeva, Ummugulsun, Valida Huseynova, Ziba Khanum Lali, Zivar Aghayeva.